We don't frequent Mangia much. We know the food is decent for this kind of place, but it's just not the place we want to spend our time out of the office. 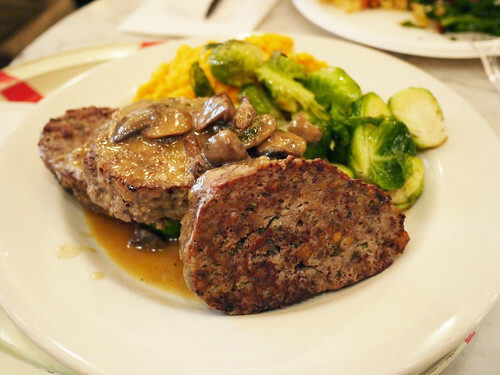 Today however, we tried their daily special plate of meatloaf with brussel sprouts and sweet potato mash. We also tried one of their salads by weight. The dressing was surprisingly nice, and so was the meatloaf. It reminded us both of our absolute favorite from The Stage Deli. Success all around.